The Smith Plaza / Union Square Renovation project is currently underway. The next step in the process includes a series of community workshop sessions scheduled for Wednesday-Thursday, April 5-6. Three separate events are planned as part of the sessions including: Schematic Design Preview for Students, Staff & Faculty; a lecture and dicsussion hosted by Surfacedesign, Inc. and a Schematic Design Roundtable for Students, Staff & Faculty. 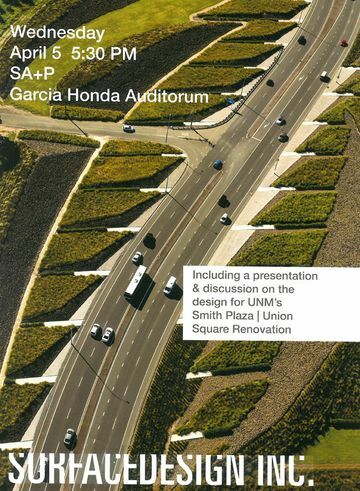 Surfacedesign Inc. presents a lecture and discussion Wednesday, April 5 at 5:30 p.m. in the Garcia Honda Auditorium at George Pearl Hall. Wednesday, April 5 at 11:30 a.m. – 1 p.m.
Wednesday, April 5 at 5:30 p.m.
Thursday, April 6 at 11:30 a.m. – 1 p.m.
Plans called for a major, 3.3 acre renovation that includes Smith Plaza south of Zimmerman Library, Union Square north of the SUB and the stair transition connecting the spaces. With a budget of $3 million obtained through institutional bonds, the aim is to create a "great room" that will invigorate the Plaza for student, faculty, staff and community uses, and also to promote UNM as a destination university. 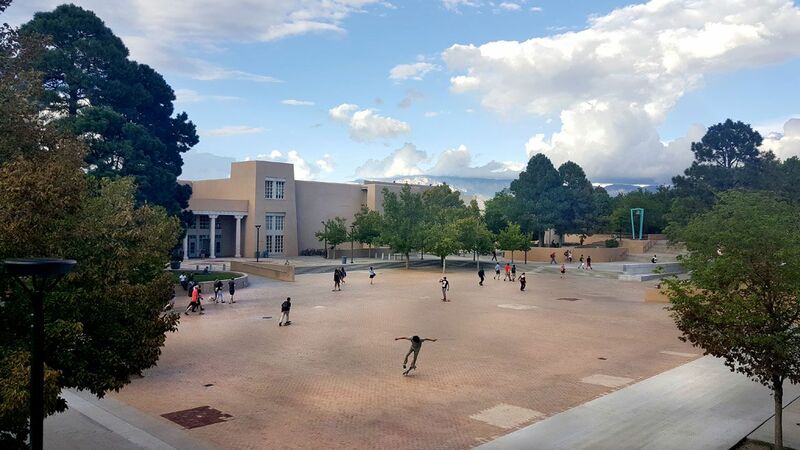 The overall goal of the project is to promote a balance of social and academic activities and provide flexibility to allow for small and large diverse groups to gather and encourage student engagement and connectivity at UNM. For more information, visit Smith Plaza / Union Square.